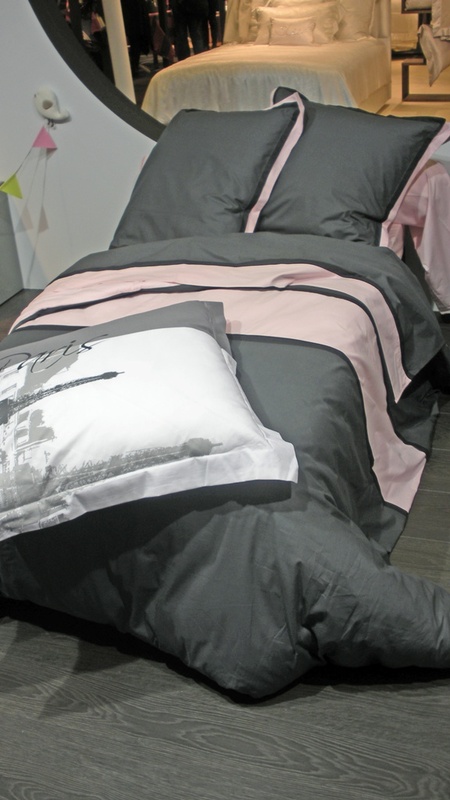 Beadboard UpCountry: Anne de Solene & Sonia Rykiel Spring Linens! Fabulous! Anne de Solene & Sonia Rykiel Spring Linens! Fabulous! 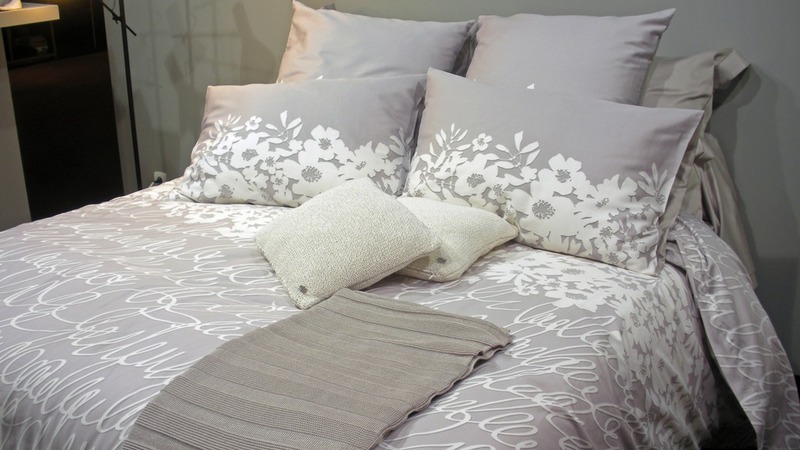 Because we carry Anne de Solene in the shop, and it is not only gorgeous on it's own but mixes so well with other things because of their wide array of Vexin solid sheets, I never miss seeing them in Paris. This is new called ENVY (note the green towels?) Large peonies on a shell pink field soooo pretty! This fresh little darling is Augustine mixed with a smaller print Antoinette. 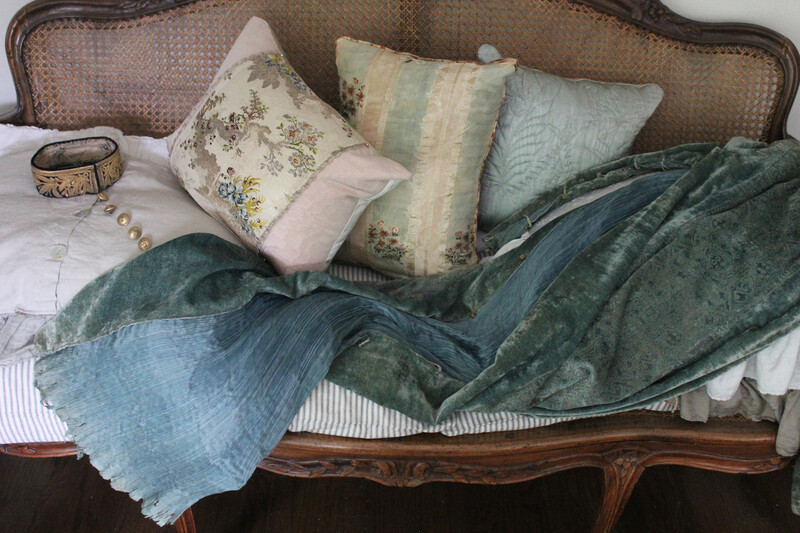 Shell pink solid Vexin sheeting shown here but it coordinates with Pistachio, Feuille de menthe, Raspberry, and Amethyste. This is a vexin duvet with an adorable Paris pillow on a twin bed. This pillow could hook up with a lot! Even a white slipcovered sofa! Now for the BIG Surprise!!!!! 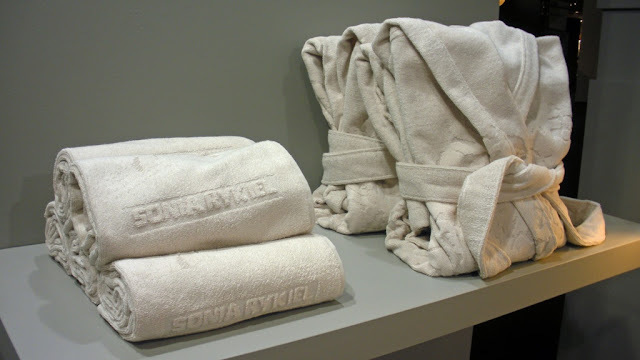 The new softer look of Sonia Rykiel. Her signature Maison line always was bold black stripes and bold colors...... I am lovin this......A white applique like look. The knit cushions with medallions in the corner and throws are to die for. Lovin the tassels on these too. I went nuts for this and we might be carrying it in the shop. 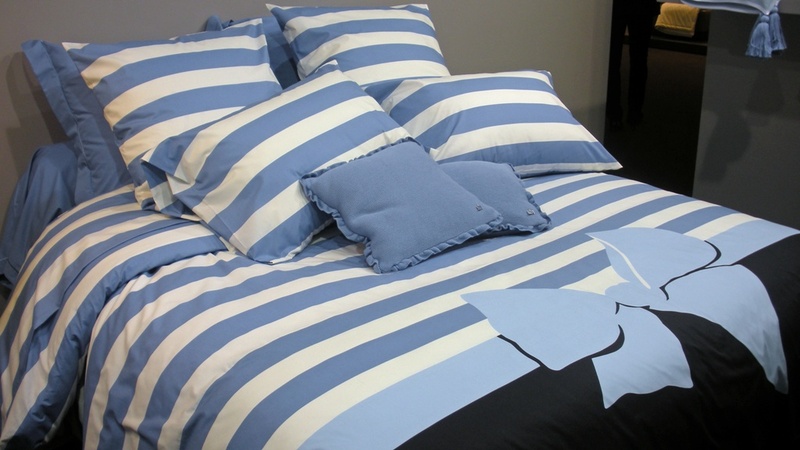 The blue beach stripe with the BIG BOW!!!!! How fun is this??????? Perfect for a beach house???? www.soniarykiel.com/en.html click on the video. Reminds me of Lauren Bacall and Katherine Hepburn........What do you think????? Sonia's couture is and will always be one of my favorites. how could you go wrong ??? the pillows with the macho tassels are a must!!!!! As alway, Marianne, a beautiful post full of much gorgeousness! Love the new line, and I am in love with her clothing line. Couple of thing there for work! Hope that you are headed for a weekend of rest. Hi Marianne, I Love Sonya's soft look and that Paris Pillow. I REALLY want it!! Hi sis!! How are you and how is Peter? Are you still in France?? 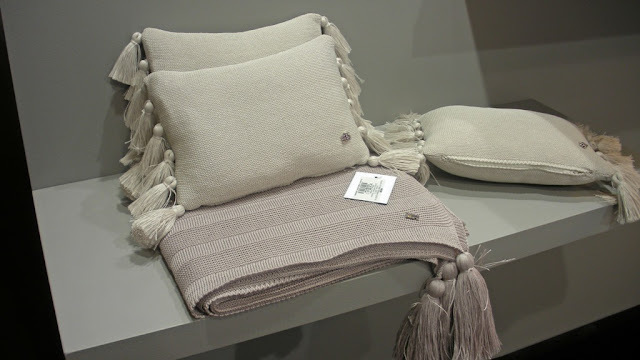 You have done some wonderful posts about your Paris' discoveries at Maison et Objet!! I might think that you are very wel-known there at the exhibition boots!! 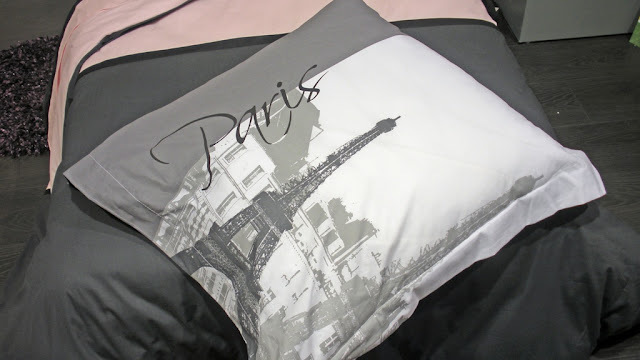 The bedlinen here is all so beautiful!! I don't know what I prefer, I would love to have it all! 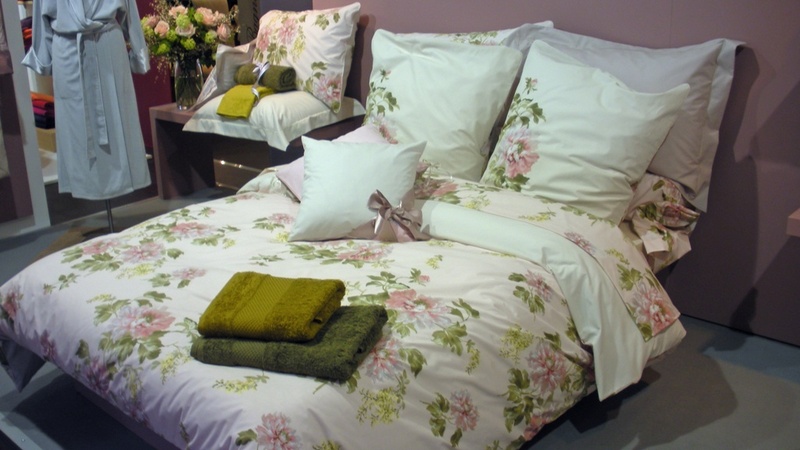 The bedlinen of the last picture is gorgeous too!!! You really have a good eye my friend! Have a wonderful weekend! And warm greetings to Peeter! PS In Belgium it is freezing!! At night -15°C and overday about -5°C!!!!! Thanks everyone! 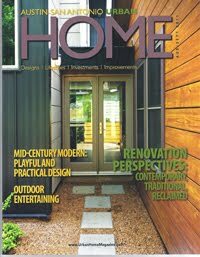 hope you click on the link it is a fabulous collection!!!!!!!!Everything!!!!! 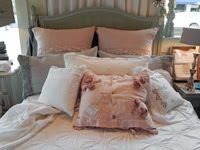 Oh my...did you order the Paris pillows...it's feeling like the perfect gift for my next Tour Giveaway...that is if I could dare bring myself to part with it...goodness I might need several! Very European - nice to see the pieces in action. love the flower prints, and can't get over the flower wallpaper in your previous post! I love the shade of green on those bath towels. It took a moment, and then I realized that my grandmother's living room wall-to-wall carpet was that exact shade of green. Hah! Isn't it crazy how strongly color, like scent, can be tied into our memories and emotions? I also love those tasseled pillows. Is that a knit fabric with self-tassels? Provisions in Paris, Ile St Louis.. Going to France in Two Styles!!!!!!! I want an Orchid car for Valentines day.